Games Workshop Warhammer 8 misc warrior lower body parts. Metal, unpainted. May also be for the Dungeons and Dragons or Mage Knight game. NOTICE - You'll notice there are 9 various pieces in my photo. The tail in the bottom row has been removed as I've been advised it belongs with one of the other lots I have listed. 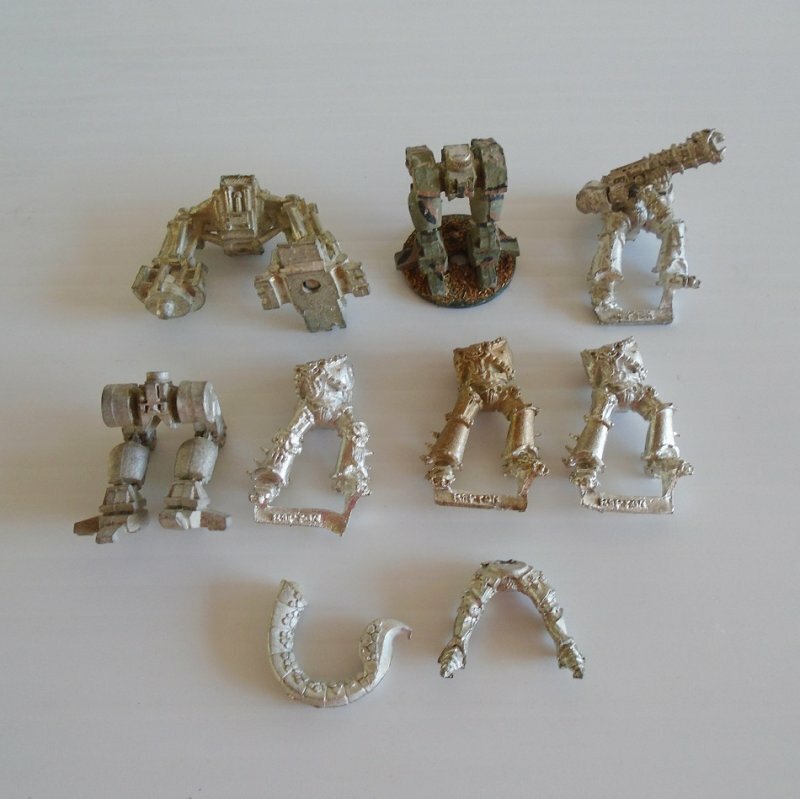 This listing is for 8 metal parts that I believe are for the Warhammer game. I can't promise they are Warhammer parts, they may be for Dungeons and Dragons, Mage Knight, or some other game, but when I obtained them they were mixed in a small box with items that were actually marked as Warhammer. Of the items in this listing, I can tell that some are bodies, less the heads. Other parts are legs, and some are holding weapons. One piece has a stand and one piece is partially painted. Of the pieces that do not have a base, they do have the bar along the bottom that slides into a base, (if you have extra bases). Games Workshop Warhammer 9 misc warrior lower body parts. Metal, unpainted. May also be for the Dungeons and Dragons or Mage Knight game.